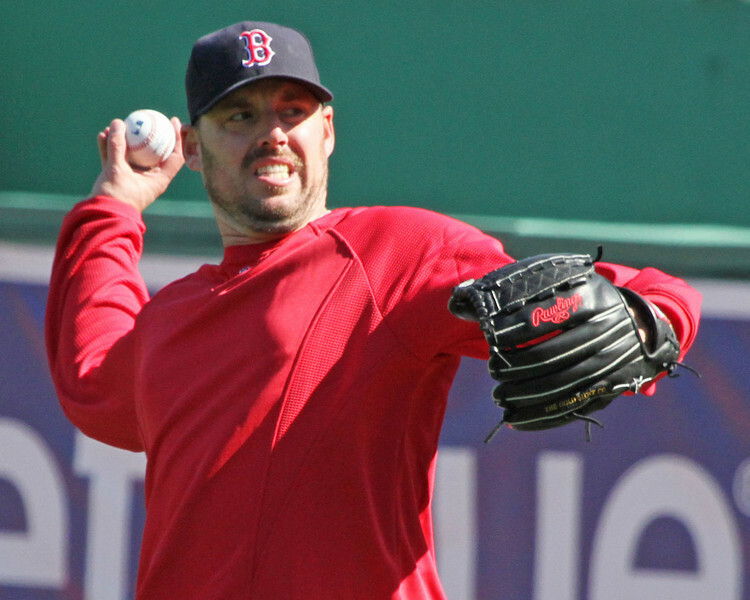 It wasn’t made public knowledge until well after the 2010 season was over, but for folks who follow the Red Sox closely it was easy to put things together and figure out that last season John Lackey was going through some personal issues. After such a public show of pointing out that Lackey’s wife, Jon Lester’s wife and Clay Buchholz’ wife were all pregnant, the only news we got about babies being born came from the Buchholz and Lester camps. So last year, I gave Lackey a long rope because I felt he was probably going through some lousy things and professional baseball player or not, when you’re dealing with emotions sometimes it is tough to do your job. When the media did report on his wife’s miscarriage it was in a piece that also mentioned that Krista Lackey is now dealing with another sad hardship, breast cancer. Lackey isn’t the warmest, fuzziest of major league baseball players. In the past, he has said or done things that indicate he was obviously not happy with teammates (when he was with the Angels. Since he’s been with the Red Sox he’s actually gone out of his way to NOT blame his teammates before his outward demonstration of frustration at Crawford last night) so I’m not saying that his personal issues are the only reason he’s pitched poorly and acted out on the field last night. What I’m saying, and I said it last night after some reflection on what Brian MacPherson tweeted, is that mentioning his family issues isn’t so much an excuse for him as it is a reason for me to find it easy to not be so hard on him. And I won’t be. The guy, regardless of the size of his contract, and his wife have gone through an awful lot since he’s been in Boston and I can’t even imagine the emotional turmoil it causes. So for now, Lackey gets a pass from me. Last night was ugly but it isn’t something the Red Sox can’t overcome. The top two teams in the AL East are tied for first while the remaining three teams are tied for last at 4.5 games behind. If nothing else, this season is going to be an exciting one. Congratulations to Kat who was one of four who got 100% on the Baseball Miscellany quiz and after a random drawing of the four names came out the winner of the book! Well done, everyone! A number of things made it difficult to get the Live Chat going last night…my plan is to Live Chat the Red Sox/Yankees game on Sunday night (8pm on ESPN). I can’t remember the last time we did a Sunday night game live; it should be fun! Hope folks can join us Sunday night. Today is a day off for the Red Sox and tomorrow they meet the Yankees in the Bronx on Friday the 13th. Somehow that seems fitting. So the first Live Chat of the 2011 season will have to be postponed. I’ve been fighting a fever and various other symptoms for about 24 hours now and, honestly, plan to find myself in bed come 7pm. The Red Sox (and Bruins) will have to win without me this one night! As long as I’m able to sit up, next Wednesday, May 4th against the Angels, will be the new date of the first Live Chat. One loss we can deal with, folks. Sox’ll get them tonight! So a friend of mine asked me to help with setting up a blog for her and in getting it together I showed her other blogs so she could get an idea of what she liked. Upon visiting Metsgrrl’s blog she noticed the comments section and decided she wanted to use one like it. So we signed up for Disqus and started playing with the different functions and I decided that she and Metsgrrl had the right idea. So starting today, the comments section will look a little different. For me, the change means a bit more ease to moderate comments that need moderating and for you it is a better looking comments section complete with the ability to add photos, “like” someone else’s comment and comment from your Twitter, Facebook or other accounts (or just comment the way you have, by supplying a screen name an email address that will NOT be posted publicly). I know how much folks hate change but I promise this change is seamless (and all comments have been brought along so none have been lost). The comments section tends to be slow around here unless we get a good argument going and maybe this will invite more folks to comment. I get a lot of emails from folks saying “I didn’t want to leave this as a comment” for various reasons. Hopefully the new comments section will be more inviting. Folks have been asking about the first live chat of the season and I was getting all ready to announce that it would be next Tuesday until I realized the Red Sox game was at 10:05pm. Historically, we don’t get many people chatting for the west coast games so I’m considering an old-fashioned live blog for that game to be followed up by a live chat on Wednesday for the 3:35pm game against the A’s. I’m aiming toward Wednesday, April 27th for our first official prime time live chat. We’ll see how that goes! And, finally, coming up today I’ll be announcing another contest, this one to win a baseball-related book. So keep a look out! Clay Buchholz is back on the mound tonight to kickstart the first winning streak of the year for the Red Sox!